A mining partnership has given the nod to proceed with a US$2.6 billion (A$3.65 billion) metal project that will create nearly 4000 jobs. 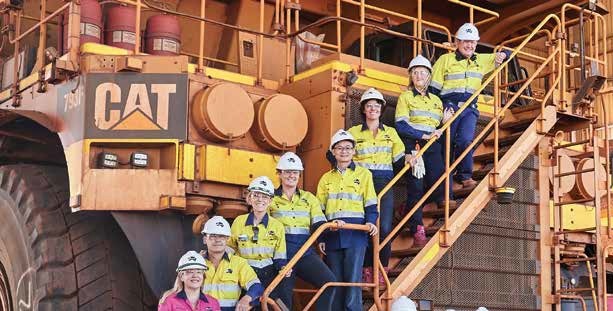 A subsidiary of Fortescue Metals Group and Formosa Steel IB recently approved development of the second stage of their Iron Bridge Magnetite Project, 145km south of Port Hedland in Western Australia. The project involves building an airstrip, expanded village, 22 wet metric tonnes per annum Ore Processing Facility, 195km Canning Basin water pipeline, 135km concentrate pipeline to Fortescue’s Herb Elliot Port Facility and return process water pipeline, and port handling facilities like concentrate dewatering, covered storage and reclaiming/conveying to existing port outload circuits. Up to 225 megawatts of power will be required through cheap electricity sourced from a mix of FMG Iron Bridge’s (FMG IB’s) Solomon Power Station and other generation sources in the Pilbara region. FMG IB is responsible for delivering the power requirements. FMG IB will contribute a total of US$2.19 billion (A$2.95) to the project while Formosa is paying US$438 million (A$615.6 million). The project is expected to create 3000 construction jobs plus an additional 900 operational roles once complete. Formosa Plastics Group executive management committee standing member Wilfred Wang believes ore produced at Iron Bridge will be very competitive. “The high quality product will be able to be used for both sintering and pelletising and, for Formosa, will increase the options for raw material supply available to its steel mill in Vietnam,” he said. The announcement comes after a contract was recently awarded for a $105 million metal project.